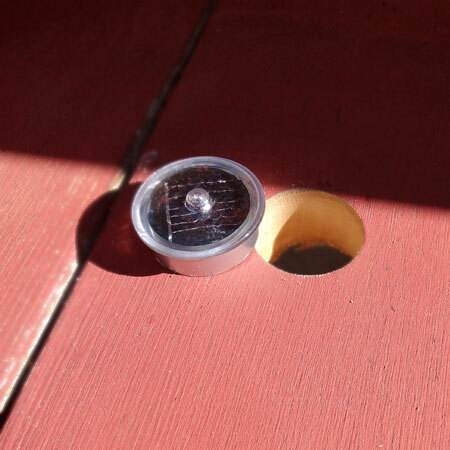 Solar Marker Light: Navigator White. 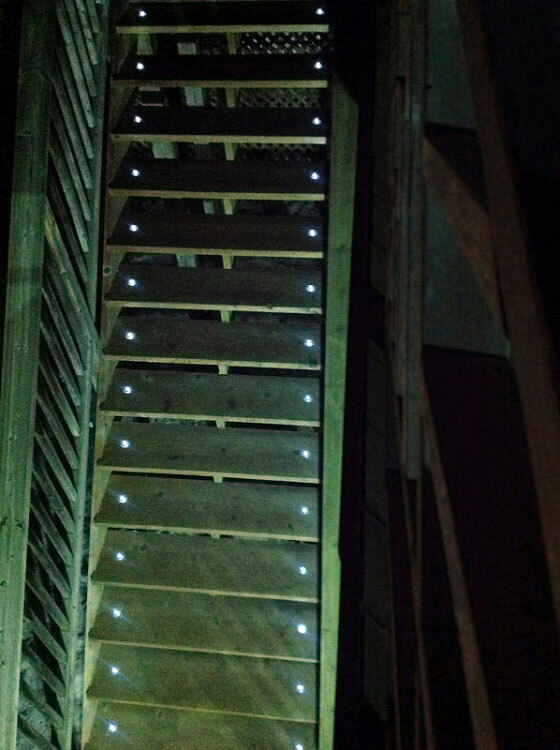 Solar Lighting for Stairs Dock Hot Tubs by Free-Light. Home > Products > Garden Deck Solar Lights > Navigator WHITE Solar Marker (4pcs). Solar Lighting for Hot Tubs. 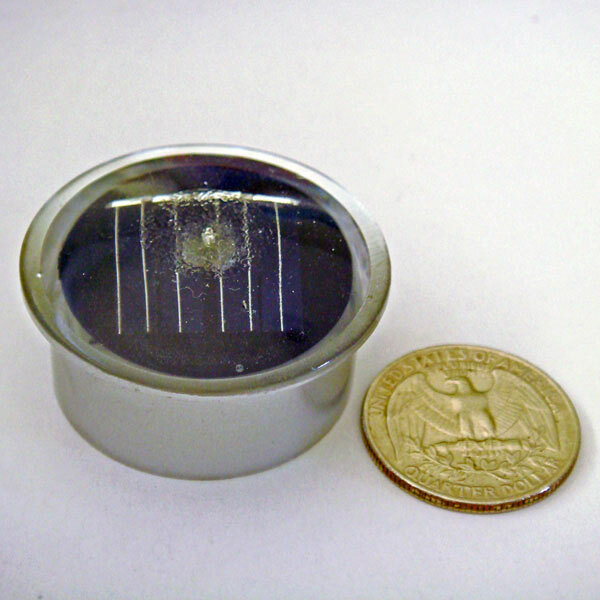 Solar Marker Lights. Solar Lighting for Hot Tubs. Best Features of Navigator Solar Light:Automatically turns on for up to 12 hours each night. Easy installation (drill 1.375" hole and drop the puck inside). 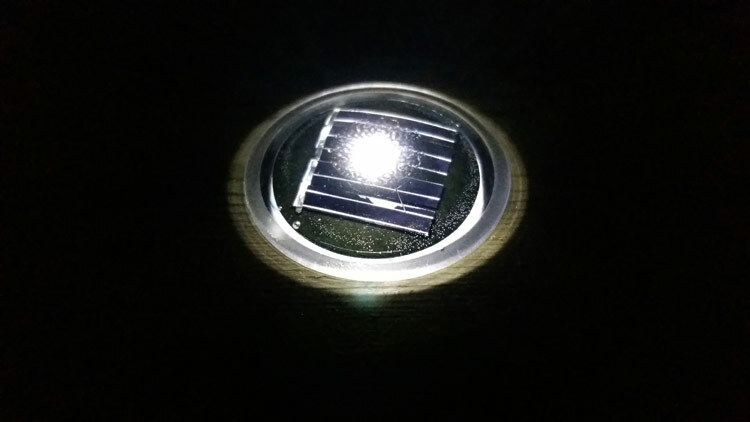 The NAVIGATOR WHITE is an easy to install solar light marker for stairs, railings and gazebo, just drill a 1.375" hole and install the light. The virtual flush fit guarantees no more stubbed toes or sore arches! 10-12 hours of light depending on sunshine during the day. GREAT around hot tubs, just enough light get in and out... not enough to compromise your privacy. The perfect dock, stair, step, railing, gazebo, arbor, deck or patio solar light. free-light products install in minutes, brighten for hours and last for years. We wanted more light around the hot tub, discrete light. Perfect.